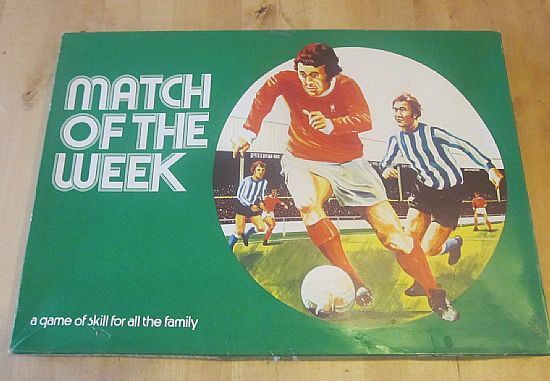 A game that has both Day and Week versions and to have also been released under a different name as We are the Champions. 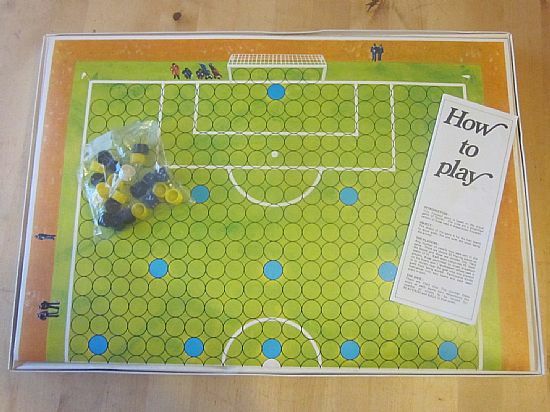 Nice colourful game, simple to play and enjoyable. 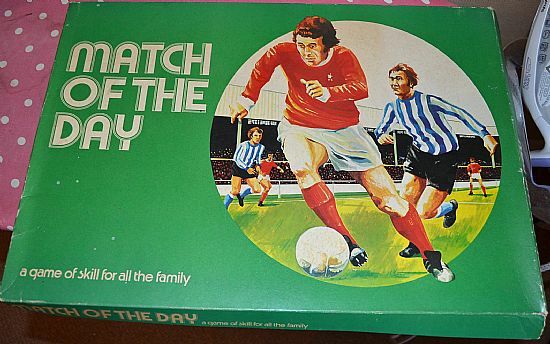 Usual cheap to produce box for the game including obligatory dodgy illustration of footballers! Here we go, the Match of the Day version! Same game, same box, different counters. 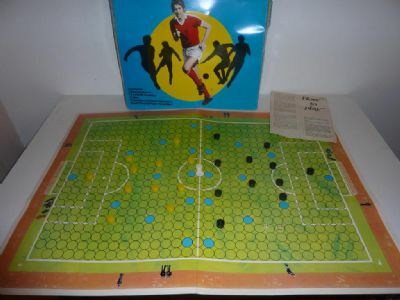 Here is the same game repackaged as We are the Champions. I wonder if someone got rich on all these variants? I doubt it. 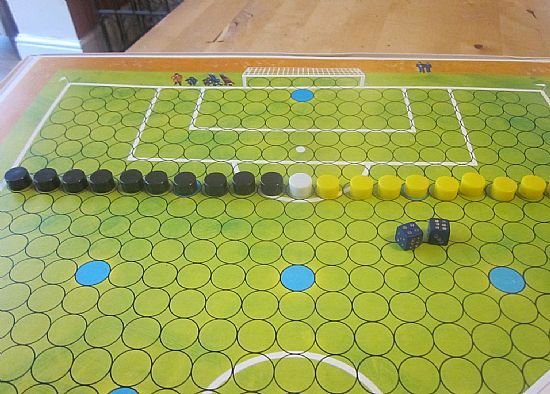 Large card pitch, two dice, two teams of plastic men and rules. The teams line up for the national anthems. 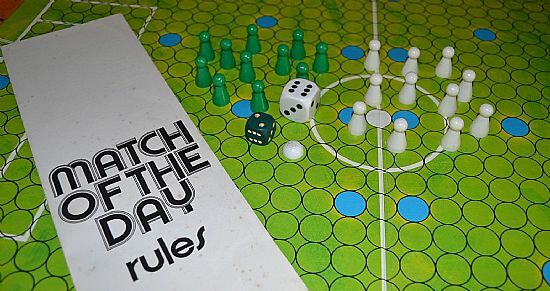 The pieces, ball and rules from the MOTD version of the game.